I think I could live here. How cute, and complete with a rock climbing wall–to get my exercise–and a lighted tree tops deck–a place to relax and unwind. 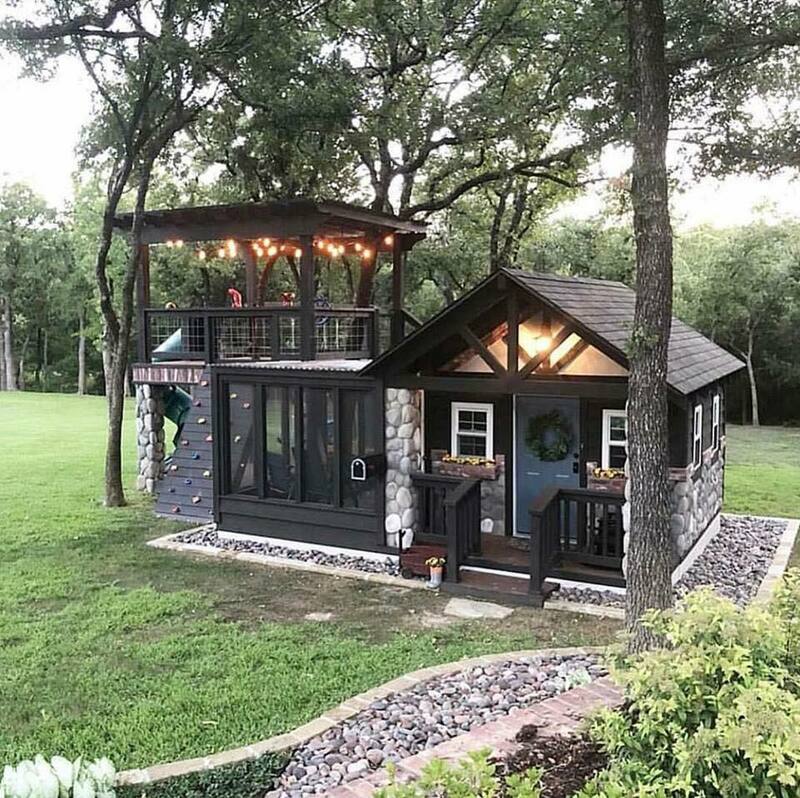 Now This is Tiny House or is it a She Shed? Tiny house or she shed...this one is fabulous and I could live here.